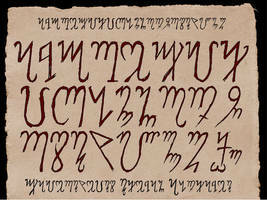 This is my fan alphabet for the Gerudo people in the Legend of Zelda: Ocarina of Time. The script here was inspired by elements in the game it's self as well as Tolkien's works. 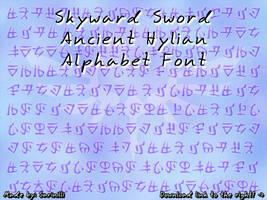 This font was made long before Nintendo's release of their official Gerudo alphabet! 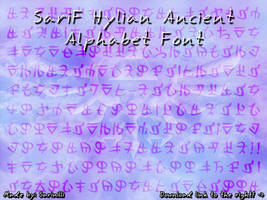 This variation still holds in my story universe of Hyrule, and will be kept up for anyone who wants an alternative and unique alphabet for the Gerudo, as well as those who follow the tales of Hyrule Nautil. 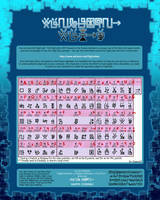 The zip file contains the .ttf and a pdf mapping chart for the letters. It's missing the mapping for the double-letter: simple, turn the character on it's side. It's mapped to the tilde ~. Instead of try to further explain what you say you understand, I'll just give an example... while using the font, the keystrokes for "bubble" would be "bUb~lE"... go ahead and put that in and you'll see what it's supposed to look like. I've recently started trying to type it in word, I've been learning to write it first, and the punctuation marks aren't cooperating. For example, I've been trying to type the apostrophe but whenever I do, it automatically changes to the Times New Roman Font and it won't let me change it. 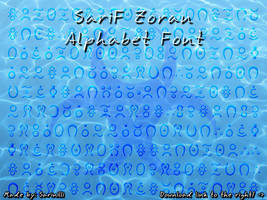 A question: In the event that I need a written font for my fanfiction, I plan to use these. (with credit. it would be bad if there was no credit). 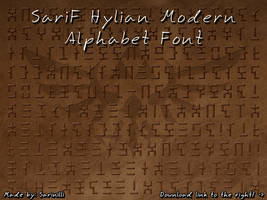 However, I would like to use this particular one as the ancient Gerudo writing, preceding the current Gerudo Typography. Is that alright? I just love all these fonts!!! THANK YOU!! 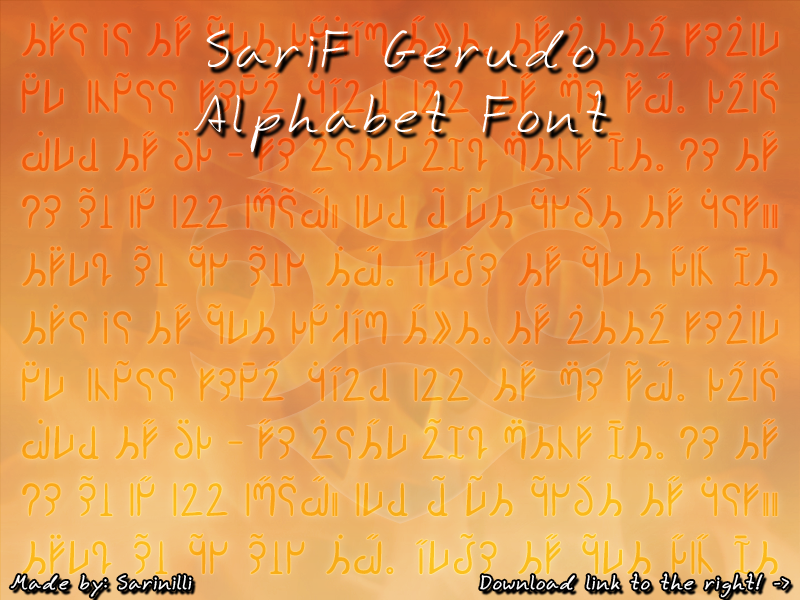 There is an official Gerudo Alphabet out now. Some of these symbols look like runes. 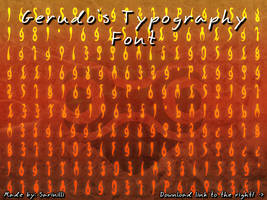 Even though I love all your Zelda fonts so much, I think this one is probably my favorite. I was wondering though, how would you handle a double vowel at the beginning of a word like the name Aaron? Use the stand alone vowel then the double vowel under it. That works just as well as putting the double vowel under a consonant. Actually, I wish I could take full credit for the idea but I was really inspired by the vowel system in Tolkien's Elven alphabets. man these are amazing did this take you long? 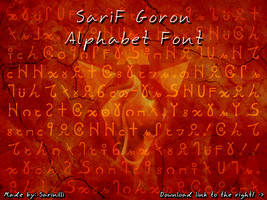 Some of the alphabets took more reference than others but all were inspired by a lot of gameplay and thought. Gerudo in particular is not exactly what you see in the Spirit temple, but loosely referenced from the texts seen there.